Easton Baseball Bats Reviews – Which One Is The Best? I Used Easton Baseball Bats When I Played! They are among the most popular in the history of the game. A very bold statement to make but this company has been at the top for a long time and they aren’t going anywhere. They have actually been in business for over 30 years. They created their first aluminum bat in 1969 and they now create more than just bats. They create gloves, batting gloves, softball bats, sports bags and other accessories such as safety equipment and state of the art Easton batting helmets. One big thing that gives Easton the competitive edge over competitors is that they’ve always had the players in mind when making their bats. It’s more evident than ever with their Power Brigade series in which they have a model for all sorts of player styles. I personally used Easton when I was playing ball during my 14 year career and I was very satisfied. I still have my gold Easton from the early 1990’s which hit me two grand slams in one week! I never experienced problems with these bats and I stayed loyal to them. I feel as though they stayed loyal to me as well because they keep creating bats which help a players performance. Okay, first I want to show you this youth bat but don’t forget to check out the hottest 2019 BBCOR baseball bats. So check it out just below and then find other Easton baseball bats reviews further down. 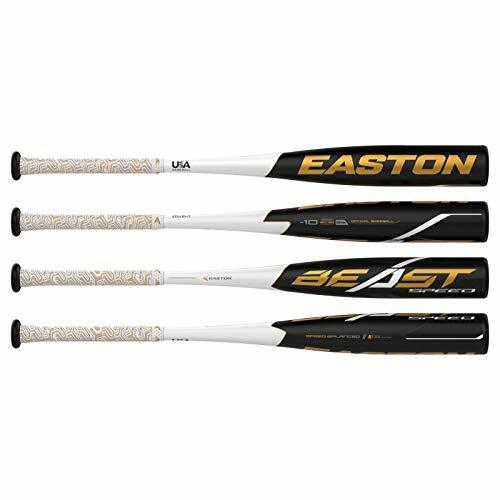 In my opinion, if you’re going to buy an Easton youth bat that has -12 drop, you might as well get the best of the best and get the Easton S500. For this particular price point this is the best Easton Bat. Keep reading below for more of this featured Easton Typhoon review plus my views on other Easton bats. The 2019 Easton Typhoon is the most popular stick they make. Look below for other Easton bats but for now check out this one. ALX100 Military Grade Alloy which is durable and super high quality and actually makes for an extended sweet spot. Specifically designed for super fast swing speeds. -12 length-to-weight ratio, 2-1/4″ barrel diameter. Comes in lengths between 27 and 32 inches long. 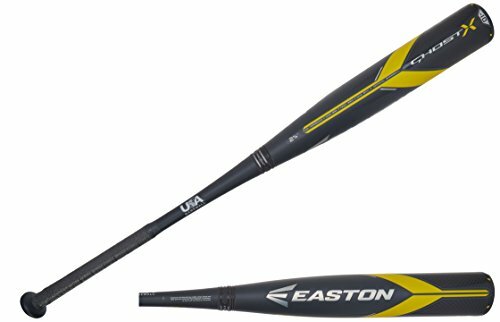 There is one customer review so far for this Easton bat on Amazon so let’s not waste any time! A mothers under 10 year old son absolutely loves it. Grandmother says it’s her grandsons all-time favorite bat. Very easy to swing for an eight year old player. One of the best bats for a coach pitch baseball league. Awesome value for this low priced bat. Most of the comments were really positive. In fact, out of five stars this bat received 4.6! Pretty good rating for that many reviews! Here are six really good Easton bats for you to consider. I would personally use any of these. As far as the Easton S300 vs S500 goes I’d go with the Typhoon hands down and here’s why. The Easton Typhoon youth bat is one ounce lighter, players prefer it more and it’s the best bat for the money as you can find it on Amazon for up to 12% off. One that I don’t have pictured but think is the next best bat you can buy today is the popular Easton Mako which players love. Of all the others I’d choose some of them that are 2018 models while others are 2019, still popular and way down in price. The 2019’s are awesome too but for now check out these youth baseball bats. When you click on the pictures you can see all of the Easton baseball bats reviews from customers. 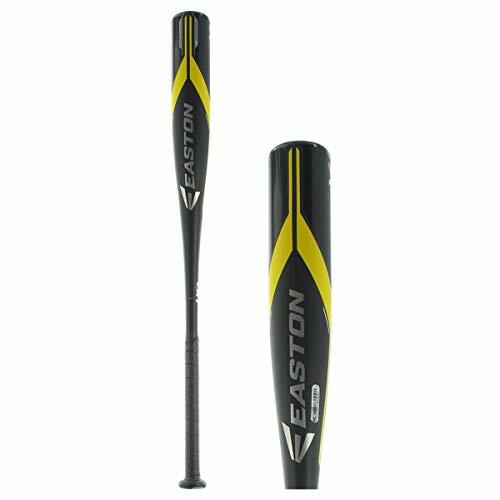 Here’s the bottom line: If you want an Easton youth baseball bat then you’ve found the number one most popular model at the top of this page. 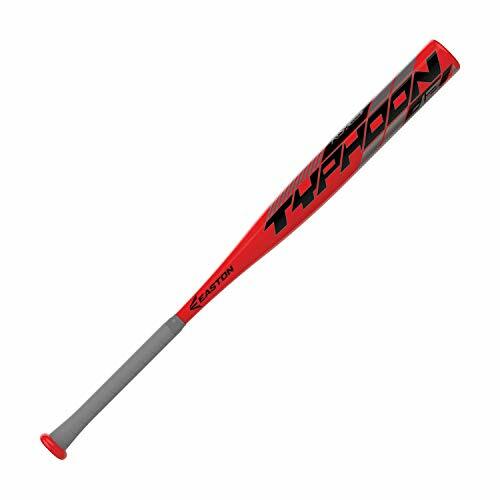 It’s the Easton Typhoon youth bat. To learn more about that particular bat just click on it’s image above. At the top of the Amazon page you’ll see a link to all the customer reviews. If you’re looking for a BBCOR bat then your best choice is the Project 3 ADV. If you’re just looking for something super cheap then try the two options right above this section. It’s the blue one either the 2019 Speed or S150 youth bats. You can’t go wrong with anything on this page full of Easton bats. They seem to be used by a large portion of college teams and Little League teams. Don’t hesitate to contact me if you have any questions about any of the bats on this page. If you’re interested in BBCOR bats then please check out this page to see which Easton’s made the list. 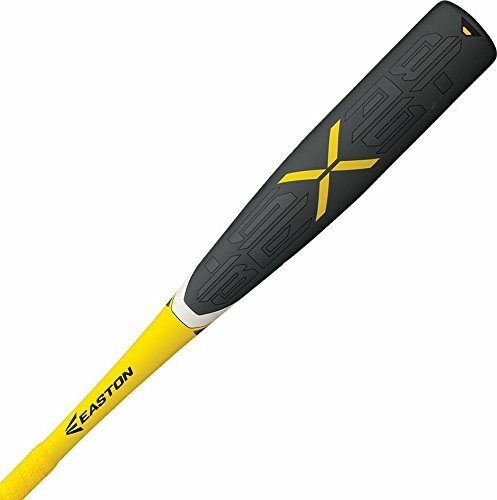 I need a good deal on an Easton XL 31″ -3. Any ideas ?? Which year and which model are you looking at?